Email marketing. You know you should do it but just are not sure what emails are best to send to customers. 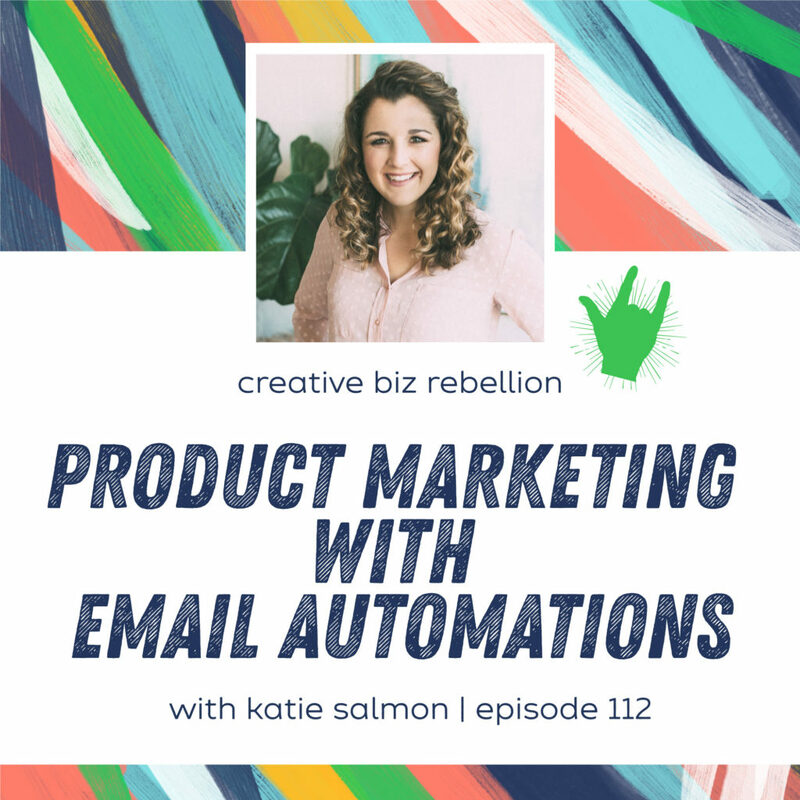 Today on the show we have Katie Salmon to talk about email marketing but more specifically, doing it on autopilot. You are going to want paper and pen because Katie walks us through exactly which emails you need to be sending and how! Katie Salmon (SAL-min, FYI) is a product marketing strategist for shop owners and makers. In short, she helps people sell stuff. Katie believes “marketing gurus” have overcomplicated marketing, so she loves helping shop owners design easy and repeatable strategies to drive sales. When she’s not on the Internet, she’s watching a true crime doc with her husband Brennen and disobedient dog Georgia. If you’re looking for more of my “story,” then here’s a brief intro: http://www.katiedoesmarketing.com/about/!